GEMZ v2.1 has been released! 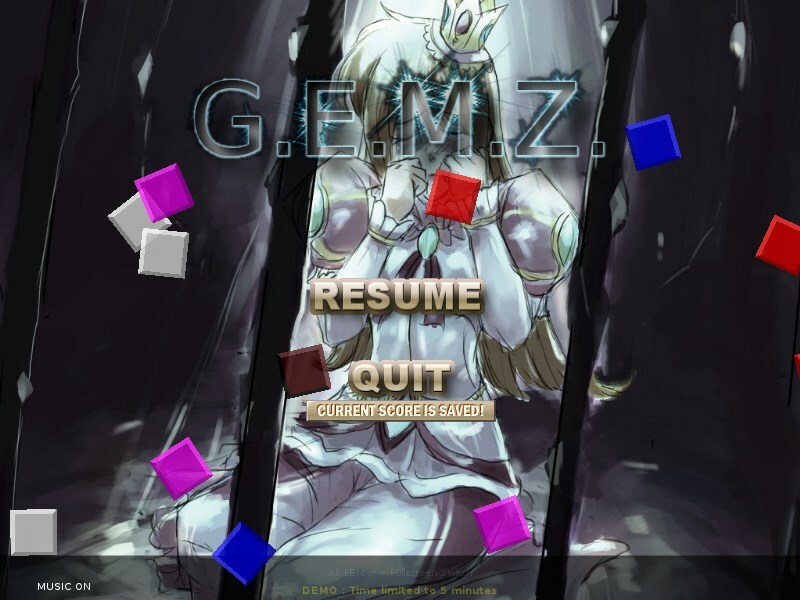 Lately I’ve worked to a new GEMZ version because it has been included in the IndieGO! Console project, so I thought to build a new version, fix some old bugs and try to make GEMZ smoother and nicer. GEMZ is a little faster and nicer, it has also been prepared for the next big upgrade that will make this game even more better! 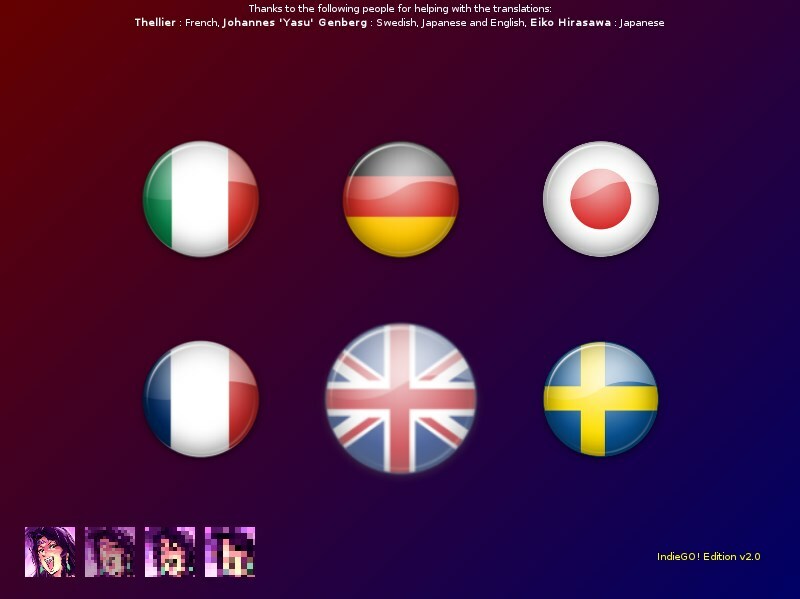 Language selection : Italian, German, Japanese, French, English and Sweden available. One of the first things that you will notice is that, to reduce the distribution package size, I’ve removed the music data that now is downloaded at the first GEMZ run. There are many visible improvements too, for example the game uses some nice animations and there are no more black backgrounds in the game. I’ve also exposed several text files for advanced users to tune the game as they wish! 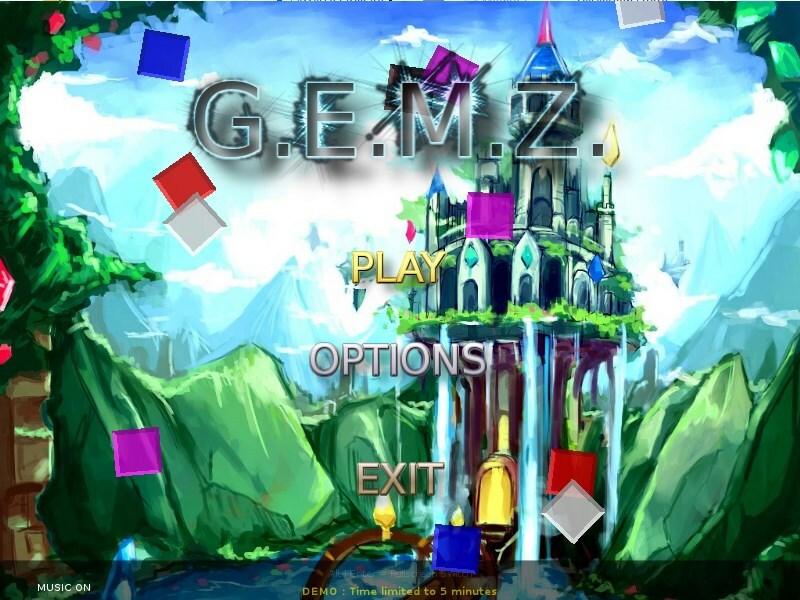 GEMZ costs only 4.99€ and a demo version with a limited playtime of 5 minutes is available at the GEMZ page, go there for more details, how to play and all downloadable versions. Please buy the full version to help me to continue the development of this game. Windows, Linux i386, Linux PPC, Linux ARM (Odroid, Raspberry), MacOSX Intel, MacOSX PPC, AmigaOS3/RTG, AmigaOS3+FPU/RTG, AmigaOS4, MorphOS, WarpOS and AROS. To reduce the game package size the music data has been removed, it will be downloaded at the first run. Fixed a small bug that was leaving the Pause sprite active after exiting from the pause screen. the current score will be saved to the hiscores (if qualified for the hiscore). Memory optimization freeing unneded resources. Almost all transitions has been changed to have more animation choices. Exposed many parameters in external text file to customize and hack the game. including music volume and fullscreen/windowed mode. Next Post Next post: EmuLa v1.6 released, what’s new?